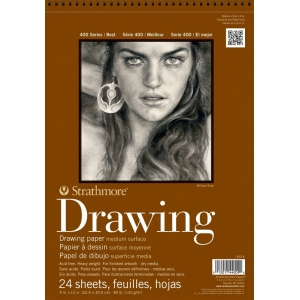 One of the most versatile sheets offered by Strathmore this cream colored drawing paper is ideal for sketching and finished work. 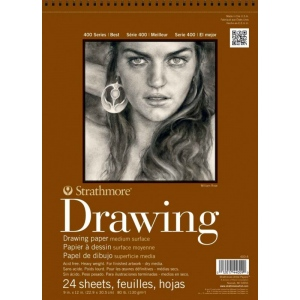 * Medium surface readily accepts pencil charcoal and sketching sticks. * Also good for soft pastel oil pastel marker pen and ink. 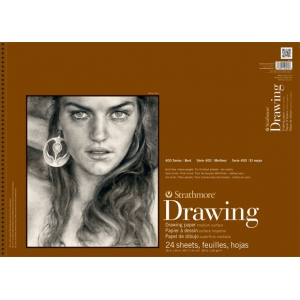 * Smooth surface with its non-reflective finish and uniform formation is especially suited for line drawing and technical detail work. * Pads feature micro-perforated sheets (except ST4001- and ST400-2).